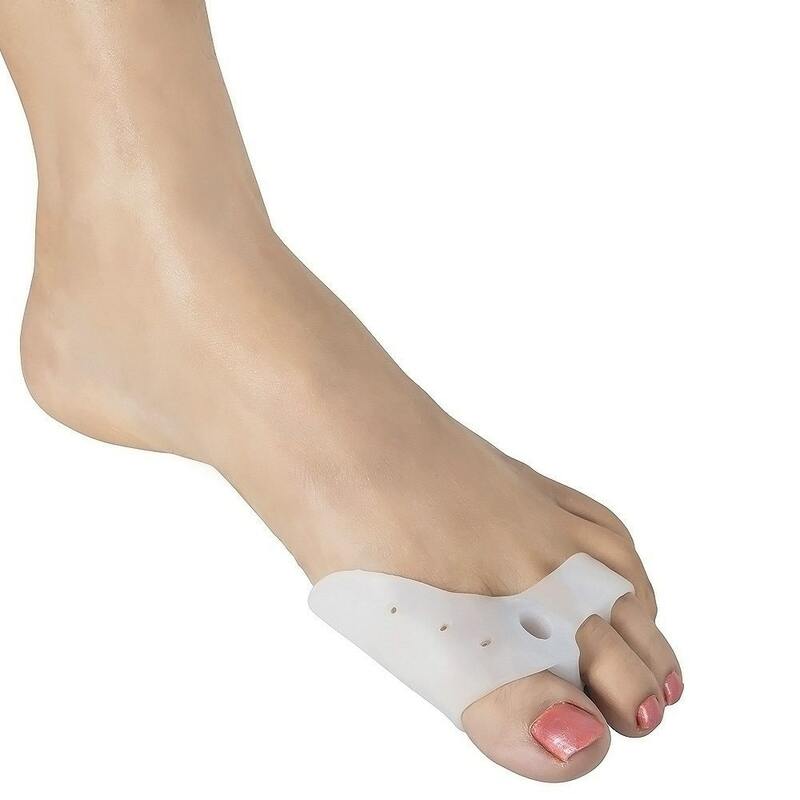 Buy Gel Bunion Guard | Three Toe Separator @ 8.95$ as low as @ 3.58$ | Health Care '); $(".urlwrite", table).html('' + customer.find("title").text() + ''); $(".reviewcount", table).html(customer.find("reviewcount").text()); $(".rating", table).html(' '); $(".userrating", table).html('UserRating'); $(".btnofprod", table).html('Go To Product'); $("#dvCustomers").append(table).append("
The soft gel Bunion guard is great for the correction of Hallux Valgus, Overlapping, Crooked, Hammer, and Deformed toes. The silicone based guard sleeve hugs the toes and helps them realign. Made from high quality silicone, hence the guard is soft and very comfortable; it can be easily worn inside shoes to protect the feet from corns and callus. The gel bunion guard is a must buy for people who are physically active and/or suffer from any kind of feet ailments, because the gel guard is nothing short of a feet whisperer.